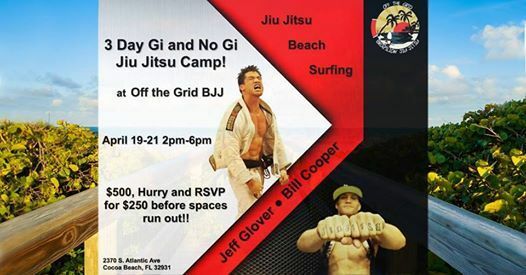 Train, Surf and Chill in Cocoa Beach with BJJ Legends Jeff Glover and Bill Cooper April 19-21 at Off The Grid BJJ! 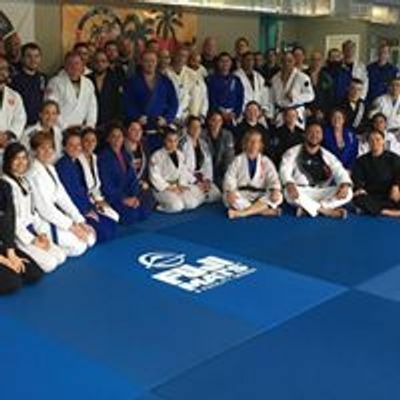 Hosted by the coolest beachside black belt in the game Frank “Dukes” Livorsi and located just steps from the ocean, our BJJ paradise takes you from the mats to the water in seconds. Spots are limited so contact us to RSVP ASAP!